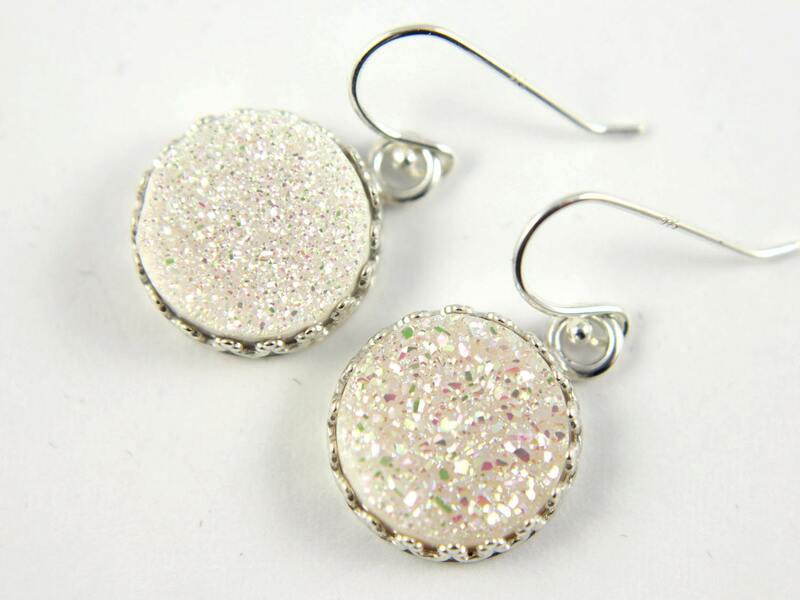 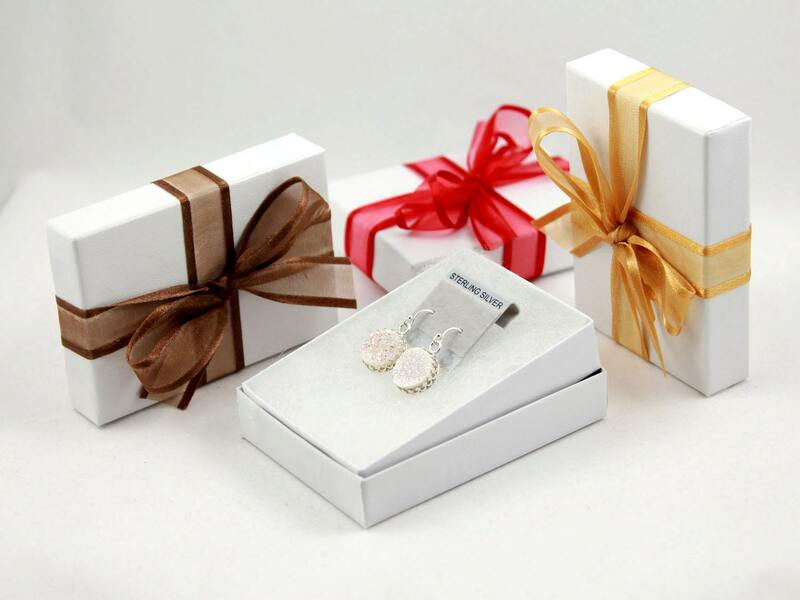 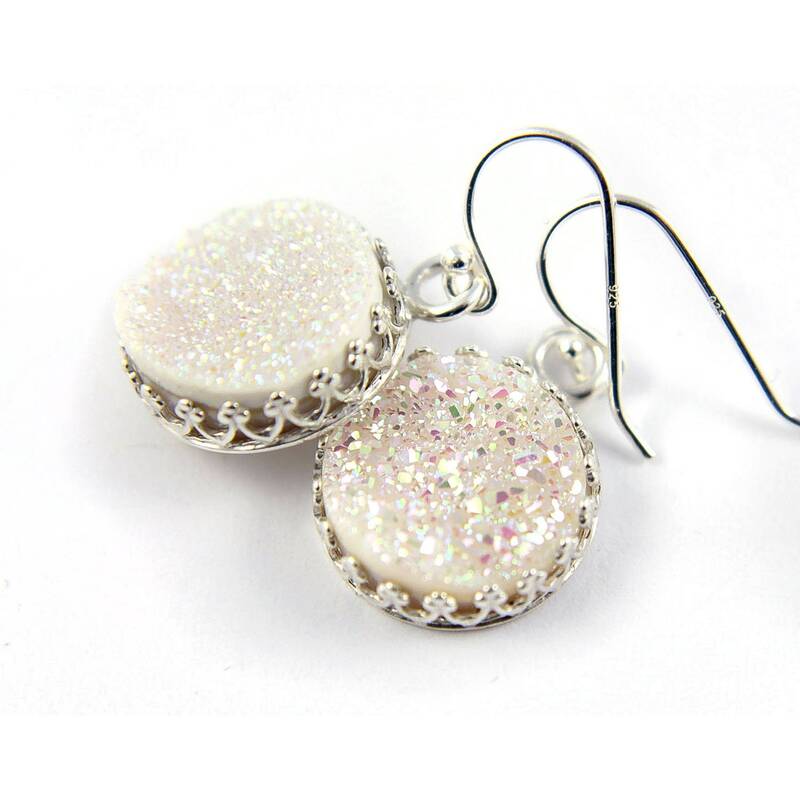 These stunning and sparkly earrings include white natural Druzy Quartz gemstones set on Sterling Silver round bezel mountings and hanging from Sterling Silver earwires. 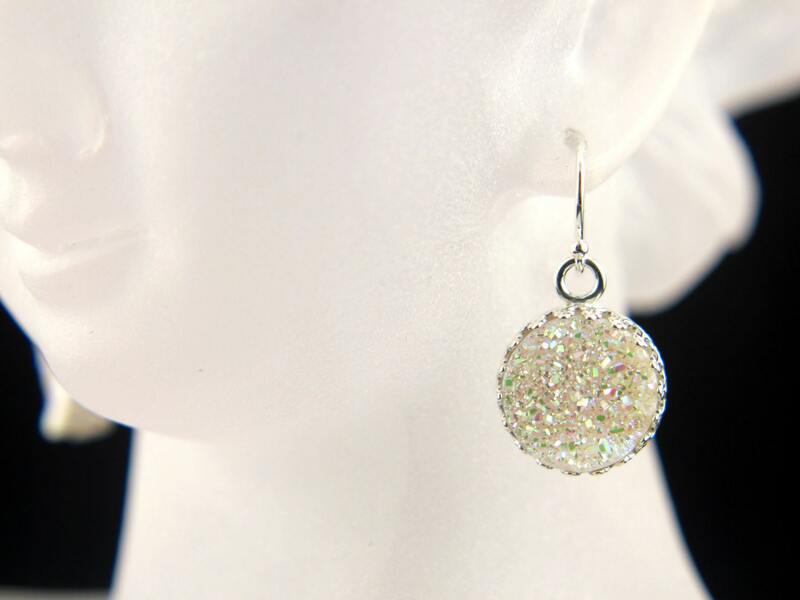 The stones measure 12 mm in diameter. 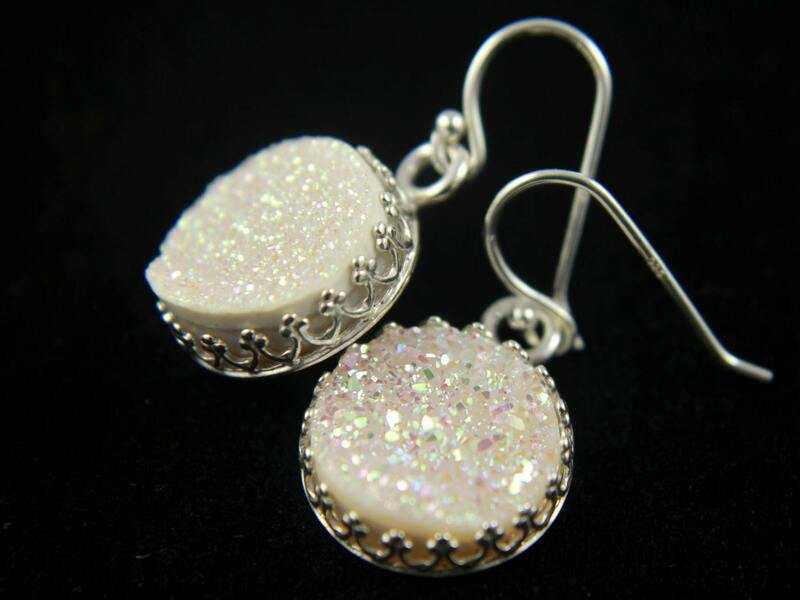 Since the stones are natural, they may slightly vary in size, shape and color.